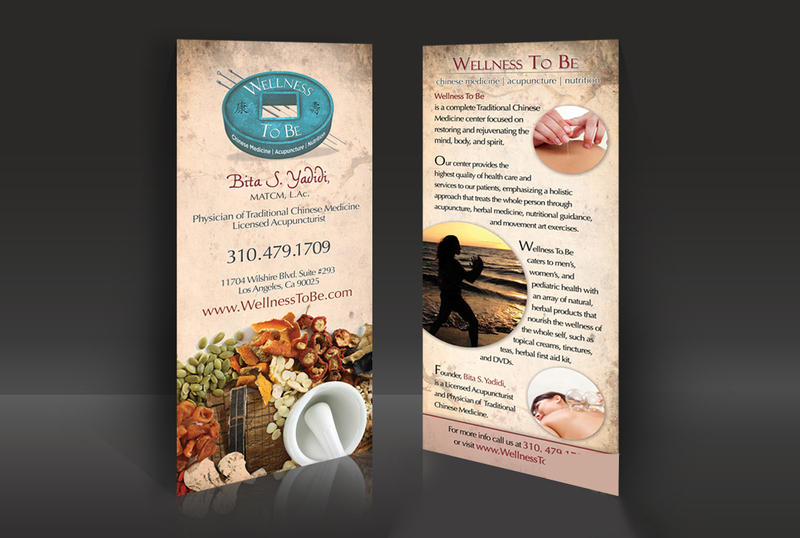 The client came to us wanting to create a brand for her Traditional Chinese Medicine practice. After a consultation with the client, our team began to hand draw ideas for the brand’s logo. Every detail of the Wellness to Be logo represents an aspect of Traditional Chinese Medicine. 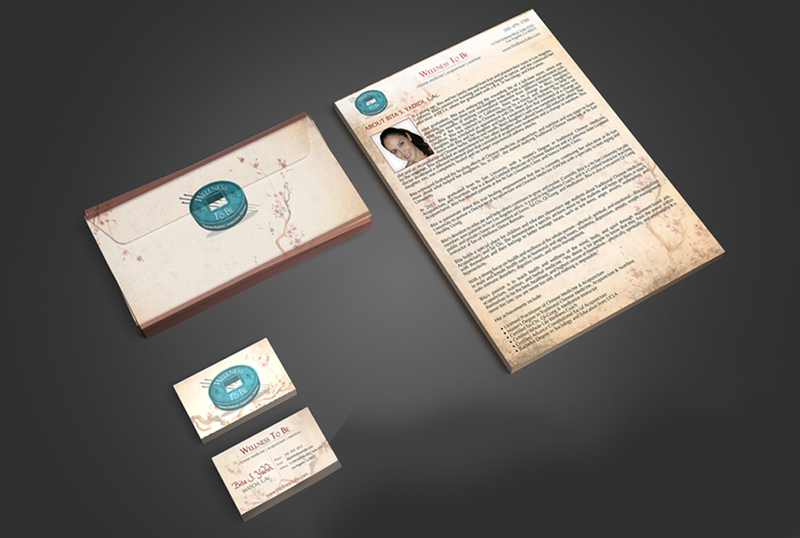 Once the logo was finalized, Global designed a corporate package that included letterhead, envelopes, business cards, presentation folders, and a postcard informational handout. Our website development and design team created a mobile responsive website with a Zen appeal that introduced the client and mentioned her wide array of services. While the website was under construction, Global created a temporary, one-page website with basic information so customers could still contact the client. Global’s marketing team sat down to brainstorm a way to promote the client in a unique way. 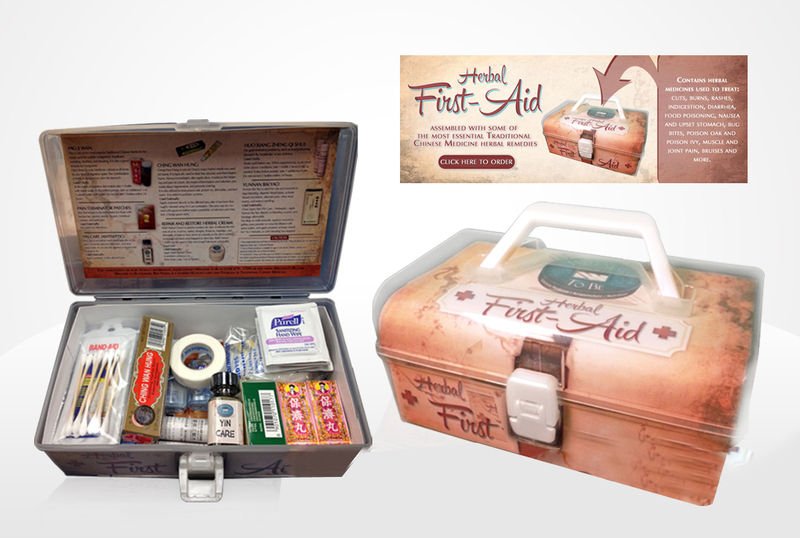 We came up with the concept and design of an Herbal First Aid Kit, complete with items to soothe burns, cover scraps, and ease nausea.